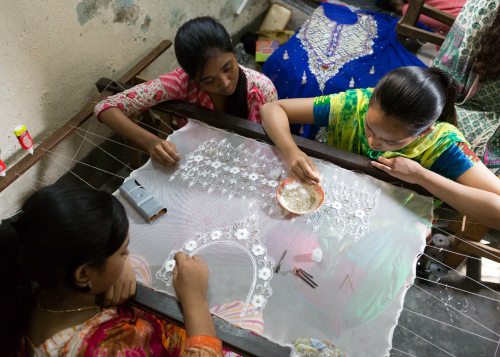 Thirteen-year-old Bangladeshi girls spend long, tiring hours gluing tiny beads onto clothing fabric for less than a dollar per day. Dhaka/Bangladesh. Photo/Sophia Hsin. I dropped my luggage on the porch and hugged my two daughters. I held them very tight. Seeing them playing ball hockey when I arrived did my heart good -- it's exactly what children should be doing. When we ate dinner together that night as a family, I loved hearing their excited chatter about school. Seeing my kids, and the lives they have here in Canada, it was impossible not to think of the children I'd just left behind in Bangladesh. Our team had gone to check on the state of child labour in Bangladesh. What I found was by turns encouraging and devastating. One of our stops was the site of the Rana Plaza tragedy. 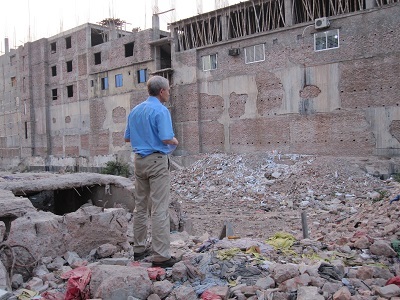 Four years ago this week, in this spot, a huge garment factory collapsed, killing more than 1,000 workers. It was a terrible moment that served as a window into the dark side of the fast fashion industry. The crumbled walls raised Canadians' awareness of who was making the disposable clothes we buy (often children) and how the workers are treated (needs serious improvement.) One big issue that came to light was the child labour used to make the kinds of products Canadians consume. The Rana Plaza site today, now an empty lot overgrown with plants. More than 1,000 garment sector workers died in the factory collapse four years ago. Dhaka/Bangladesh. Photo/World Vision. The Rana Plaza collapse ushered in some overdue changes that addressed poor working conditions, worker safety and basic human rights in the 'fast fashion' industry. But I can tell you that after visiting Bangladesh last week, it's very clear that we still have a long way to go. The evidence isn't hard to find. 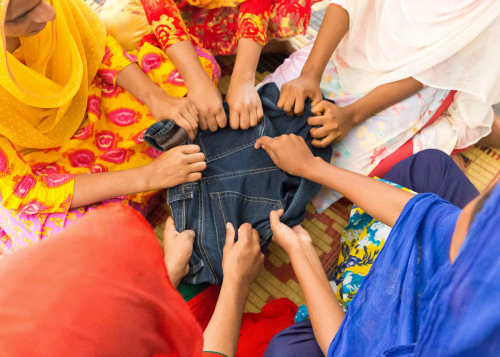 We met a group of five young girls, whose names we will protect, who spend more than 12 hours each day sewing jeans. Some of these girls told us that they started full-time factory work at eleven. They shared stories of psychological and physical abuse, describing what happens as they toil under the scorching hot lights of the factory room floor. And all for barely a dollar a day. The five jean factory workers who shared terrible stories of the mental and physical abuse they endured for cents a day. These girls started working full time when they were eleven. Dhaka, Bangladesh. Photo/Sophia Hsin. I met far too many Bangladeshi children who spend their days working, instead of going to school or playing. Whether in garment factories, shrimp processing operations, or fishing, their jobs are often dirty, dangerous and degrading. Most have no alternative. Children working at a shrimp processing station. Shrimp is big business and a major export. 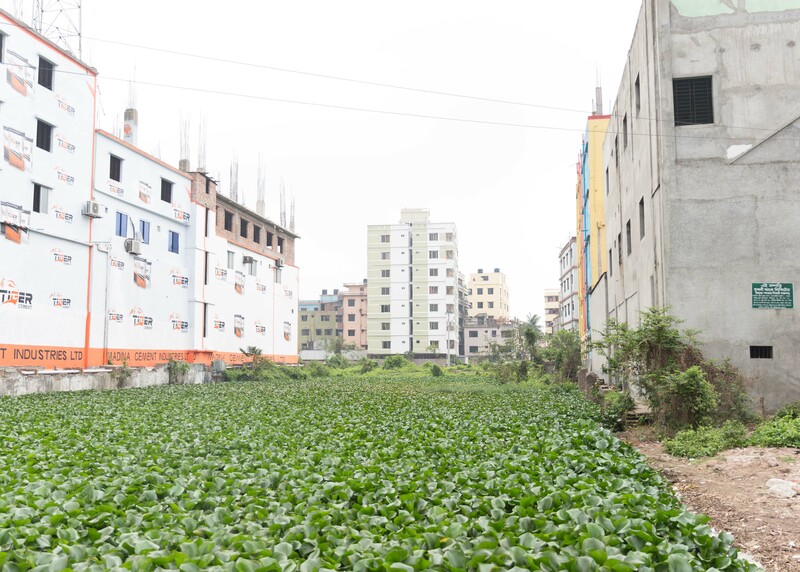 Khulna, Bangladesh. Photo/Sophia Hsin. 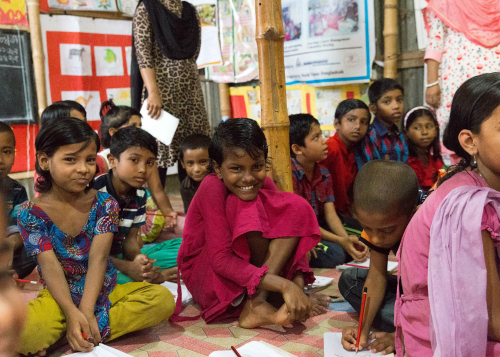 As a parent of two Canadian children whose lives are filled with opportunity, I don't want to see the futures of these children in Bangladesh being severed before they have a chance to begin. I'm also frustrated by how hard it is to get information from Canadian companies about what, if anything, they are doing about the risk that children are making the products I buy. How can I prevent buying items for my children made by other children? Child labour is a complex issue without a silver bullet solution. It requires a comprehensive response. It's also a problem much larger than Bangladesh. It's a global issue with no less than 168 million child labourers around the world. However, there are glimpses of hope. I saw first-hand some of the life-changing programs underway that address the poverty that forces kids to work. I've seen the success of efforts to support their right to an education in order to give them a chance at having a healthy future. We can do something about it. Coming to a World Vision centre for educational support is a bright spot in the lives of children who pick garbage for a living in the slums. Dhaka/Bangladesh. Photo/Sophia Hsin. Canadians can play a big part in making a difference in the lives of these vulnerable children. Canadian companies, consumers and government all need to do their part and the good news is that we can take meaningful action to address this issue. Asif, 12, spends his days working in a lathe shop after being forced by poverty to drop out of school. Asif is receiving support in a World Vision child friendly learning centre and dreams of becoming an engineer. Jessore, Bangladesh. Photo/World Vision. 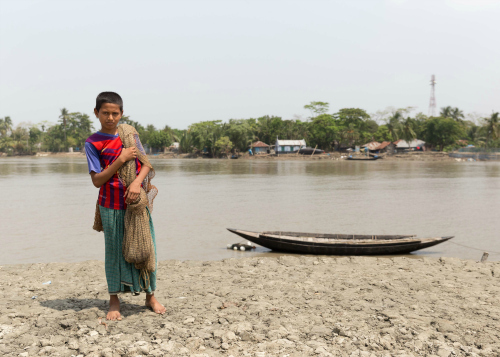 Eklass, 11, spends his days dragging a net through the water to collect shrimp larvae for fish farms. Eklass wants to have his own seafood shop someday. World Vision is developing a learning centre, to provide educational opportunities in his community. Chila Bazaar/Bangladesh. Photo/World Vision. 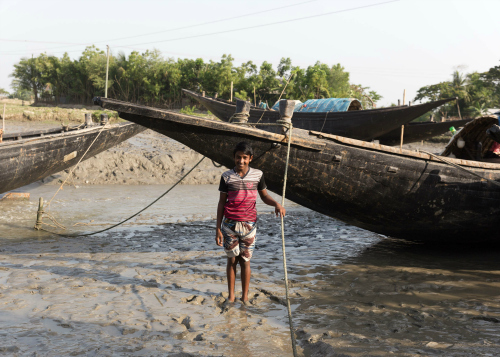 Nayeem, 15, shared harrowing stories of terrible storms and pirates working on a tiny, crowded, fishing boat in the open ocean of the Bay of Bengal. Nayeem wants to be a mechanic. He, too, may benefit from the learning centre World Vision is developing nearby, for some of the learning Nayeem will need to build his dreams. Chila Bazaar/Bangladesh. Photo/World Vision. Visit the No Child for Sale website to learn more about how you can address the root causes of child labour.